How to convince the public that the EU enlargement is a good idea? 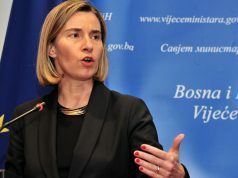 Despite its mostly technical nature, the process of EU enlargement to the Western Balkans will ultimately be concluded by the „ordinary“ people – first and foremost the voters in a referendum on joining the Union, but also the citizens of the member states, whose potential strong opposition to accepting new candidates would doubtless have an influence on their elected officials. A robust support to the accession process is also important for the easier implementation of the required reforms. These are the reasons why the enthusiasm for a wider Union should be on at least acceptable level both within and outside the EU. It has often been a trend – such as in 2004, the year of the „Big Bang“ enlargement to ten new members – that the support for the process is higher in the candidate countries than in those that are already a part of the Union, for largely understandable reasons. The situation is not much different today – enthusiasm for the enlargement is on a fairly high level in the Western Balkans, with a few notable exceptions, while only 43% of EU citizens support this particular policy, with 45% opposing it, according to the newest Eurobaromter survey. How to improve the situation in the member states, and maintain, and even secure a higher support for the EU in the candidate countries? These are the questions that need urgent answers, and they will doubtless be offered during the round table „Boosting public support for the European perspective of the Western Balkans“, which is taking place on 5 February in Brussels. The organisers – Directorate-General for Neighbourhood and Enlargement Negotiations, South East Europe Public Sector Communication Association and the European Fund for the Balkans – have invited a number of public officials, civil society representatives and journalists to exchange their views on this topic. In 2003, 72% of Serbia’s citizens said they would vote for their country to become a member of the European Union, while only 8% said they would vote against. However, in June 2016, the “yes” vote was supported by only 41% of the citizens, and the number of those who oppose the membership has risen to 24%. Have the years of difficult reforms with a mostly underwhelming progress taken their toll on the enthusiasm? “I do not believe that support towards membership necessarily depends on the length of the process. The support towards EU membership has been fluctuating in most states, and might even grow in the future as more concrete benefits are felt by the citizens”, says Nikola Burazer, Executive Editor of the European Western Balkans and one of the participants of the event in Brussels. True to his view, in the past two years, the percentage of citizens who would vote for the accession has again risen, and is now 55%, against 25% that would vote against, according to the Ministry of European Integration. Montenegro has also registered a rising enthusiasm for EU membership, which is now supported by 65% of the citizens, a 12% more than in 2013. Both rises have occurred after the announcement of the President of the European Commission Jean-Claude Juncker that the year 2025 is a potential date for the accession of these two countries. Furthermore, support in Macedonia jumped from an already high 72% to an impressive 83% last year, following the apparent feeling that the process is again on the move after the Prespa Agreement was signed last June. It seems that the impression of an achieved progress matters more than the number of years alone. However, Burazer is not too fast to completely exclude the length of the process as a potential factor. All the countries in the region have been on the EU integration path for almost two decades. This is a significantly longer integration period than for any other set of candidates. “The length of the process might bring lack of enthusiasm for EU accession, making European integration fall down in the last of priorities, diminishing its transformative influence. We have seen in last year’s referendum in Macedonia that the promise of EU integration is not a good enough “carrot” for the citizens to accept the name change. Especially since that promise is also not entirely clear, which is an important factor”, emphasises Burazer. A closer look at the levels of EU-enthusiasm in Serbia throughout the years reveals another important factor. The support fell by almost 10% in 2008, after Kosovo had declared its independence and majority of EU countries had recognized it. Normalisation of relations has been a condition for becoming an EU member ever since. In other words, if the citizens feel that they are sacrificing too much in order to become members of the Union (for Serbia, imposing sanctions on Russia would be another such case), and if their sacrifices are not rewarded afterwards, which is the prevailing feeling over the issue of visa liberalisation in Kosovo, they could potentially be turned away from the Union. Additionally, even though there is no comprehensive data for Western Balkans to support this claim, the impression left by the EU itself is another factor that influences the enthusiasm for membership. The vision of a community of well-functioning and prosperous countries has doubtless been changed to a certain degree since the beginning of the century, mostly due to the Euro and migration crises and the discord they have caused. However, Zoran Nechev, Marie Jelenka Kirchner and Ivan Nikolovski, EU team at the Institute for Democracy Societas Civlis from Skopje, are of the opinion that the EU is still seen as a goal worth striving towards. “The European Union has not lost its general appeal in a region which is split between people who long for European integration and people who wish to cut oneself off all foreign partners. But the enlargement process appears murky and often opportunistic”, they explain. In their view, the biggest problem is that it is not clear what it means to become a member and the benefits are not visibly communicated. 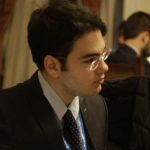 Nevertheless, could the candidates still remain outside the Union due to the lack of support among citizens in the member states at the final stages of the enlargement? As mentioned before, more people oppose accepting the new members than support it. Our interlocutors, however, do not believe that the sole reason for that fact is a bad impression left by the region. 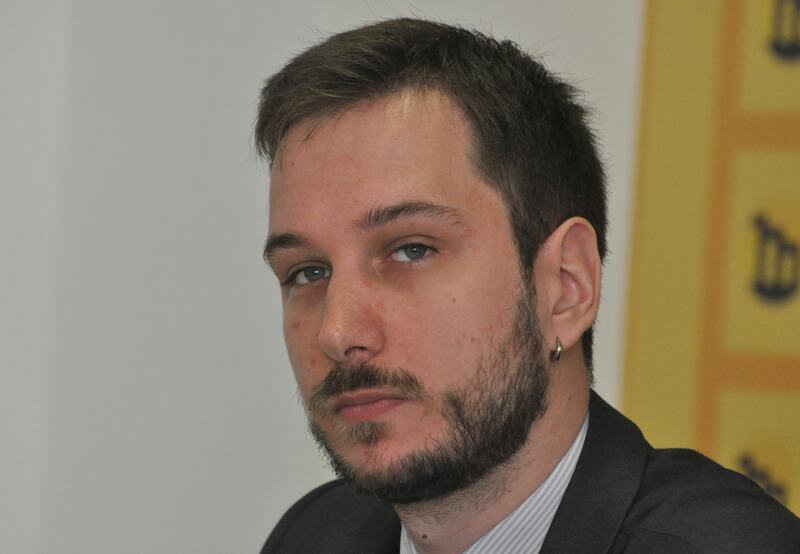 “I am not convinced that the major reason for the lack of enthusiasm with regards EU enlargement to the WB6 is exclusively linked to the deficiencies of the region. Major reason for the current level of public (dis)approval for the EU enlargement is fear and lack of confidence in official institutions, politicians and policies among the EU citizens. 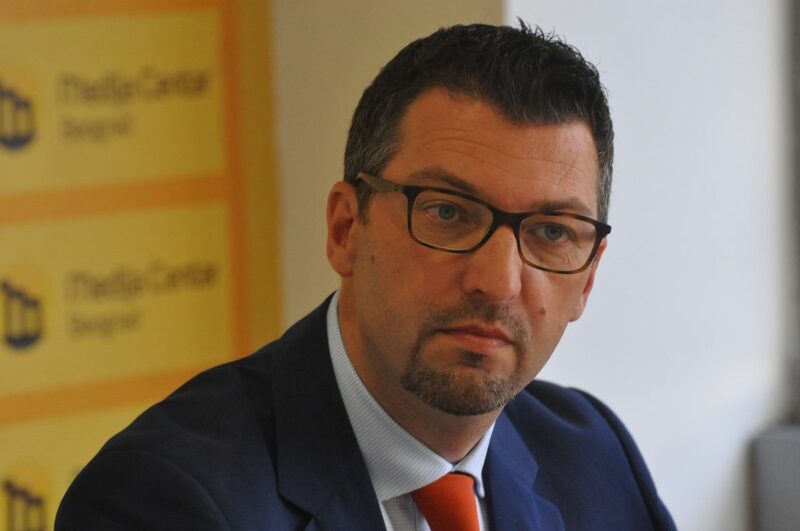 Stories about organised crime, corruption and migration potential from the region have been successfully abused by populists to sustain the fear and to exploit it for their political agendas”, says Srđan Majstorović, Chairman of the Governing Board at the European Policy Centre in Belgrade and also a speaker at the event in Brussels. Regardless, he also believes that the candidates themselves need to improve their image in order to address these fears. Easiest way to do it is to prove their credibility to fulfill the EU accession requirements. Resolution of long standing bilateral disputes, as Macedonia and Greece exhibited, shows the potential of the region to be source of positive news as well. “This positive development needs to be followed with more inclusion of the WB6 in EU policies and strategies that should improve communication, better understanding and less concerns and fears of the region”, underlines Majstorović. On the other hand, EU team at the Institute for Democracy Societas Civilis believes that the success of Macedonia, while very significant in and of itself, will not overwhelmigly influence the impression of the region. 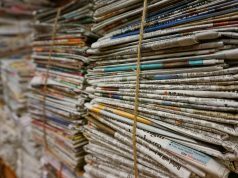 “Macedonia has clearly proven that the Western Balkans can write different, positive headlines. But is it enough to help the negative reputation of the region to recover? Macedonia is a fairly small country at the edges of the Western Balkans and was – until recently – not much covered by EU media. Drawing a mental map, many Western Europeans will still map the Balkans, the European tinderbox, more in formerly war-torn regions which made horrific news in the 90s”, they explain. Another, often forgotten, aspect for the lackluster enthusiasm in the EU member states is pointed out by Burazer. “Discussions about enlargement in the EU had a significant focus on Turkey for a long time. Having in mind the controversy regarding Turkey’s accession, it is a good thing for the Western Balkans that enlargement is not solely focused on the region, and might become easier to accept for EU citizens”, he reminds. “After all, Western Balkans is insignificant when compared to Turkey, which has 4 times the population of the entire region and is an important regional power”, Burazer adds. In his view, the religion is not the sole factor when it comes to this issue, and he does not expect the possible entry of Muslim-majority Albania or Bosnia and Herzegovina to raise a similar controversy, though he allows for the future developments to contradict him. Earlier this year, Minister of Foreign Affairs of Austria Karin Kneissl urged her colleagues in France and Netherlands not to leave the region of Western Balkans “in a limbo”. 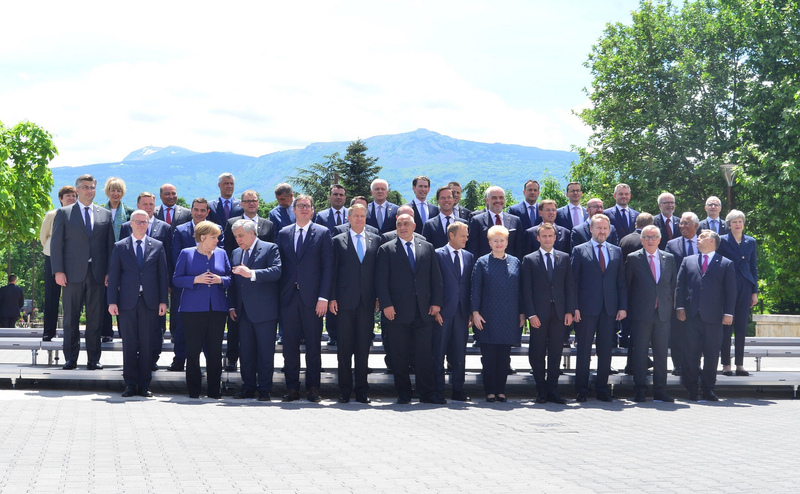 This has again illustrated the fact that has been obvious ever since the European Council meeting of June 2018 – that the EU is not unanimous when it comes to its level of support to the enlargement. “Unanimity of the EU member states is required for the candidate to move to the next phase of the process and it is unlikely to be changed. Each member state decides on its position in accordance to its own political interest. As we witnessed recently in the case of Council Conclusions on Albania and Macedonia, unfortunately consensus was not achieved due to internal political pressure in two member states”, stresses Majstorović. According to him, as much as it feels disappointing at the moment, it is also a sign showing necessity to improve communication and understanding among candidates and member states. “Candidates need to unambiguously show they’re resolved to change and prove it through implementation of serious reforms. This will enable EU leaders to prove their credibility, orderly inform their public and support candidates on their EU accession path. EU accession is process build on credibility of two sides and it is of utmost importance the credibility displayed by one side is recognized by the other. Hence, credibility displayed by Macedonia and Greece must be recognized by consensus in the EU Council”, Majstorović underlines. In the end, Burazer believes that the regional governments know that the Union remains the most influential actor in the region and their biggest partner both economically and politically. “Countries such as Russia, China, and other external actors could never fully replace the European Union neither as a economic, political or security partner for Western Balkans countries, both due to geography and their smaller economic and political clout”, he says. The influence of these countries, however, might hinder the region’s democratic transformation, slowing down or preventing EU integration, he reminds. According to Burazer, governments in the region might find it beneficial to balance between the EU and these other countries indefinitely, reaping the benefits, but avoiding transformation that would need to come with European integration. This would not only harm EU’s reputation as a normative actor, but also introduce a lasting instability in its immediate neighbourhood. 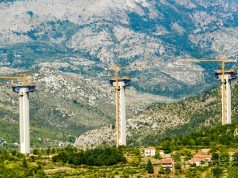 It seems clear that both the Western Balkans and the EU are better off if the enlargement process concludes successfully. The “Big Bang” enlargement took place even though the majority of citizens in the “Old Europe” (EU15) were against it. However, it is hard to dispute that a satisfactory support to the enlargement is a more or less necessary foundation for a successful integration and good internal relations after the conclusion of the process. This is why the work on its improvement is an imperative. 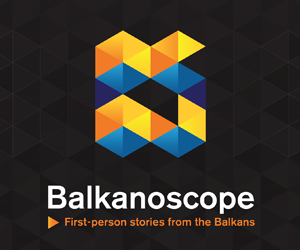 Previous article[VIDEO] EU and Western Balkans in 2019: Serbia and Kosovo in 2019 – Is there a resolution on the horizon?